Just like the popular fruit of the same name, blueberry leaf contains antioxidant compounds. When infused with hot water, blueberry leaf produces a flavorful, reddish-colored tea. why buy cut & sifted blueberry leaf? Blueberry leaf is rich in antioxidants. storage tips Store in a sealed container in a cool, dark environment. appearance & aroma Light green and leafy with a fresh scent. cosmetic Use to make strong infusions for use in cosmetic preparations for skin and hair. decorative Add to potpourri displays. culinary Make tea with the herb, alone or in combination with other botanicals. 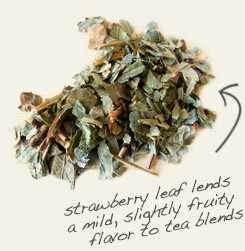 Strawberry leaf is also a good source of antioxidants. 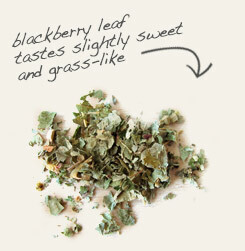 Pair with sweet blackberry leaf in tea blends. Fresh, grass-like flavor with mild sweetness. 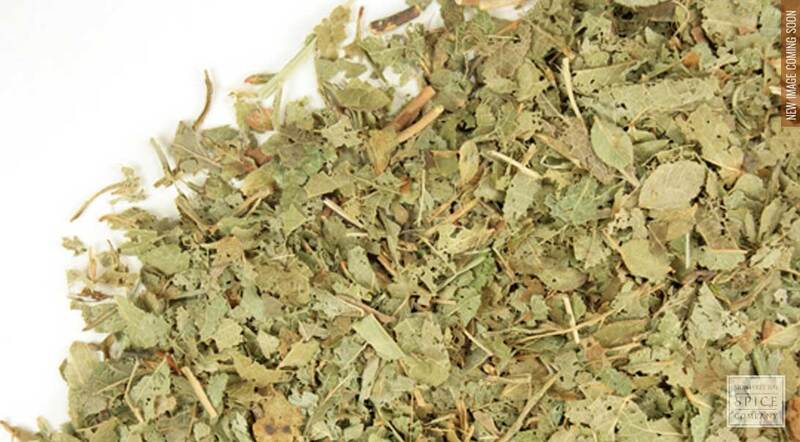 Blends well with most other herbs, especially mints. Blueberry, also known as American blueberry, is a North American variety of flowering shrub in the Rhododendron family that is closely related to cranberry, bilberry and huckleberry. Historically northeastern Native Americans had many uses for the plant, from making a dye from the berries to boiling the leaves for medicine. The berries were also collected and dried for inclusion in a type of jerky called sautauthig, which was usually made from buffalo meat. While the fruit has one of the highest ORAC values (a measurement of antioxidant load), blueberry leaf is also nutrient dense. They contain a number of antioxidant compounds that protect the plant from disease, such as quercetin, proanthocyanidins and catechins similar to those found in grapes and tea. Background: For centuries Native Americans have gathered these berries and enjoyed them fresh and preserved. The plant and berries are revered, and much folklore developed. As the calyx the blossom end of each berry forms the shape of a perfect five-pointed star. One story described how The Great Spirit created "star berries" to relieve hunger during a famine. Blueberry juice was used to dye basketry and cloth. Dried blueberries were added to grains, stews, soups and meats. Dried, the berries were powdered and rubbed into meat. A jerky called Sautauthig (saw'-taw-teeg), was made with dried blueberries and meat and consumed year-round. Description: Blueberries are a group of flowering plants in the genus Vaccinium, sect. Cyanococcus. The species are native to North America and eastern Asia. They vary from 10 cm to 4 m tall; smaller species known as lowbush, a larger species as highbush. Blueberry is closely related to Vaccinium myrtillus the European variety. Several species of blueberries including V. pallidum and V. corymbosum grow throughout the United States. The leaves can be either deciduous or evergreen, ovate to lanceolate, and from 1-8 cm long and 0.5-3.5 cm broad. The flowers are bell-shaped, white, pale pink or red, sometimes tinged greenish. The berry, from 5-16 mm diameter, has a flared crown at the end pale greenish at first, then reddish-purple, turning blue to dark purple on ripening. The season is from May to October. All the species whose common names in English include "blueberry" are currently classified in section Cyanococcus of the genus Vaccinium. Other sections in the genus, native to other parts of the world including Europe, include other wild shrubs producing edible berries such as cranberries, bilberries and cowberries. Many of these have blue berries and are very similar in use and taste to blueberries. Furthermore their names in languages other than English often translate as "blueberry", e.g. Scots Blaeberry and Norwegian Blåbær. There is thus considerable scope for confusion.